Once the marginal land had been settled and the wheat industry established technology in the form of the internal combustion engine (tractors, cars and trucks) and increased mechanisation made life and work easier by the 1940s. 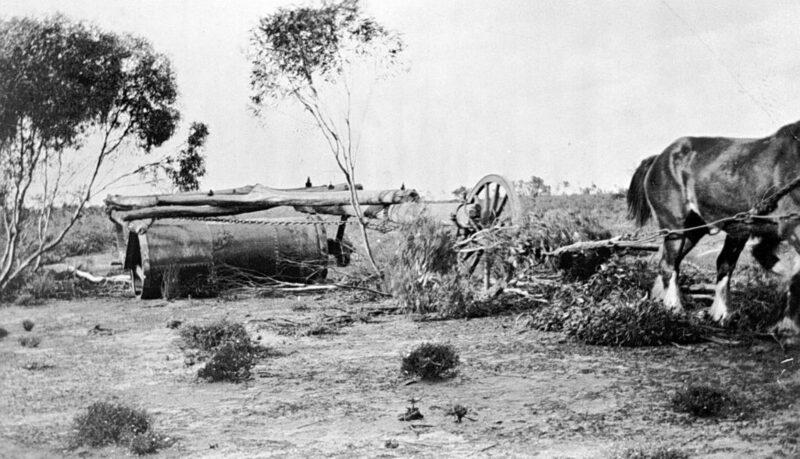 It was drought that was the big problem in these arid lands— it occurred in 1914-16, the early 1930s, in 1945-6, in 1957-9, and 1965-66–and resulted in the failure of soldier settlement schemes, farm bankruptcies, foreclosures and widespread soil erosion. Drought, high winds, and constant tillage to increase crop rotation eroded the land and lead to the widespread dust storms. Since there are big limits to rain-fed agriculture in the Mallee there was a pressing need for water. I have previously written about water and the arid Mallee in previous posts— here and here and here. The history of water in the early 20th century in these posts is one of supplying water to the various storage dams located across the region via the earthen, gravity-fed Wimmera Mallee Domestic and Stock Channel System. This system extended from the Grampians in central western Victoria to Ouyen and Manangatang in the north, Underbool in the west and Korong Vale in the east. 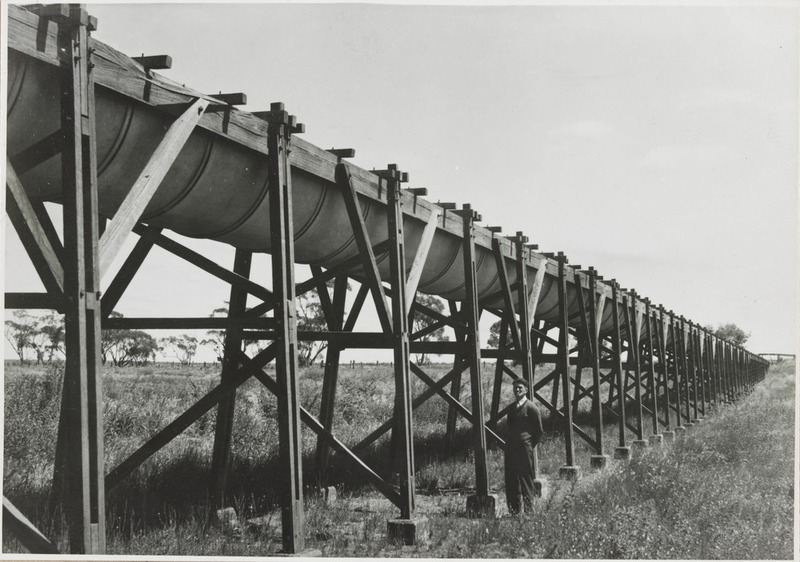 Whilst this open channel water supply system was critical for the development of agriculture and communities in this region, there was a wastage of water through evaporation and seepage, and during the droughts the Grampians headwaters were under great stress to supply this system. This channel system was replaced in the last decade of the 20th century by a piped water — the Northern Mallee Pipeline-– from water extracted from the Murray River— In the last decade of the 20th century. In the first decade of the 21st century the Wimmera Mallee Pipeline, with water extracted from the Wimmera and Glenelg River catchments. was built to supply the lower Wimmera. And so we have the colonisation of the country that established a new mechanical farming system geared to export: one geared to the mass production of a single commodity, regional specialisation, industrial machinery, large state investment in infrastructure (railways then pipelines), the heavy use of superphosphate fertilisation and crop rotation and the increase in farm size. 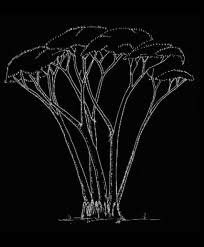 From the 1960s there was a decline in the rural population, empty shops, decaying social networks, increasing soil salinity and environmental deterioration.